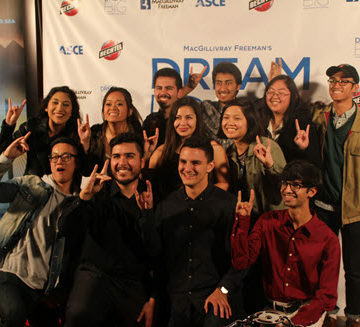 ASCE members enjoy the red carpet during a recent Dream Big sneak peek event in Los Angeles. Different cities, different vibes, and a different Dream Big event to fit each. 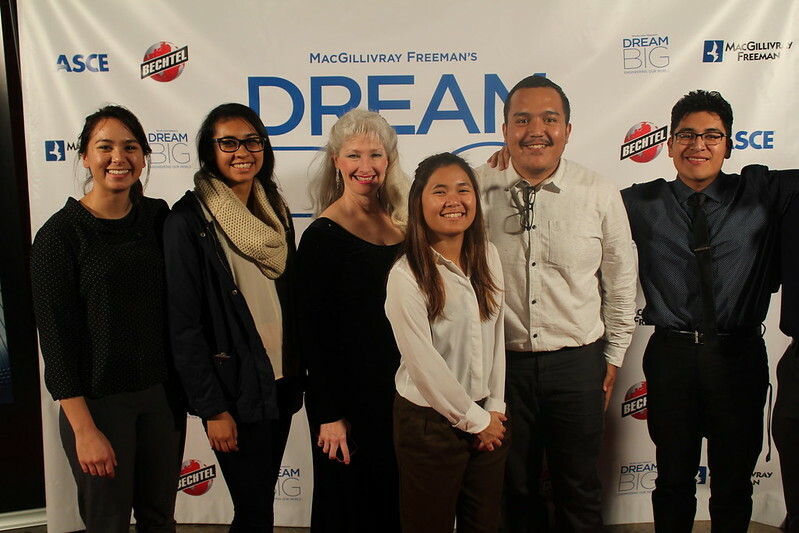 With the Feb. 17 movie launch approaching, the annual ASCE Multi-Region Leadership Conferences were positioned neatly this year to offer attendees a sneak peek at Dream Big: Engineering Our World, ASCE’s first giant-screen film. 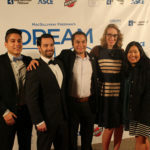 Befitting the enthusiasm and creativity of ASCE’s younger members, each host Younger Member Group organized unique Dream Big-themed events that combined social activities, networking opportunities, and awards honoring their group’s outstanding Younger Members. For Los Angeles’ Younger Member Forum, that meant going Hollywood. For the North Jersey Younger Member Group, that meant embracing the structural and architectural engineering wonders of the New York area. And to Minnesota’s YMG, that meant playing up the Minneapolis music scene. “I would guess from an engineer’s point of view it’s a chance to feel proud about what you do for the world,” said Greg McGillivray, director of the film, which is presented by Bechtel and produced by MacGillivray Freeman Films in partnership with ASCE. McGillivray attended the Los Angeles event and fielded a question-and-answer session with attendees. “And engineers in my estimation don’t get enough recognition for the safety that they bring to everyone’s lives,” he said. The Dream Big event at the western MRLC in Los Angeles could easily have been mistaken for the Oscars, given the bright lights and lavish dresses. The scene at the California Science Center, across the street from the L.A. Coliseum, provided a dramatic backdrop, with attendees feeling like celebrities as they posed for red carpet photos on their way in for the screening. After enjoying a digital rough cut of the movie, attendees were then blown away by a trailer in all its IMAX glory on the science center’s 7-story-high, 90-foot-wide screen. “The stereotype with engineers is that people think, ‘Oh, boring. They just sit behind the desk, they don’t do much.’ But this film, I think, is going to portray some of the great and magnificent things we do – and that it’s all limitless,” said Danny Nguyen, A.M.ASCE, a senior engineer at Michael Baker International and member of the Utah Younger Member Forum. 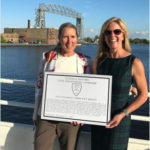 With the Manhattan skyline standing tall just across the Hudson River, the eastern MRLC Dream Big screening in Jersey City, NJ, fittingly featured a skyscraper twist. Attendees at the Liberty Science Center split into two groups – one viewed a cut of Dream Big while the other toured a skyscraper exhibit at the center. Among its several interactive elements, the exhibit includes a mock building-construction site where guests could walk the beams – with safety harnesses – 30 feet above their ASCE friends on the ground. Dream Big got the Minneapolis hipster cool treatment at the central MRLC event. Held in the Varsity Theater, near the campus of the University of Minnesota, the screening featured drinks, dinner, and the kind of casual, comfortable socializing not always afforded ASCE members at Society events. 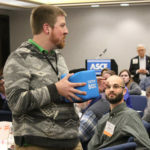 “I think it’s really exciting for us to be together and see each other in a social atmosphere instead of always a professional, or classroom, or presentation atmosphere,” said Region 7 Director Marsia Geldert-Murphey, P.E., M.ASCE. Dream Big premieres on giant screens across the country Feb. 17. 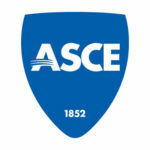 – ASCE Communications Coordinator Griffin Brumbaugh contributed to this story.